One way to help raise a green family is to own a collection of excellent green books suitable for everyone in the family. There are a ton of cool eco-books out there for parents, babies, kids and teens, so everyone can read their way to a greener lifestyle. On top of going green, books of course help your child develop key learning skills, teach kids how to do fun activities and are a great alternative to the ongoing tech our kids are exposed to daily. 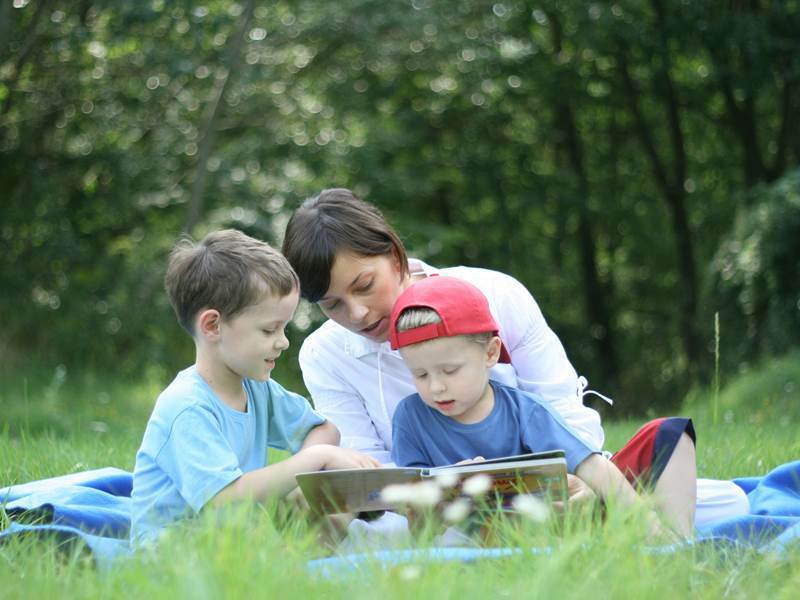 Keep reading to see which eco-books are best at every stage of childhood and learn about green books suitable for parents and the whole family to share. 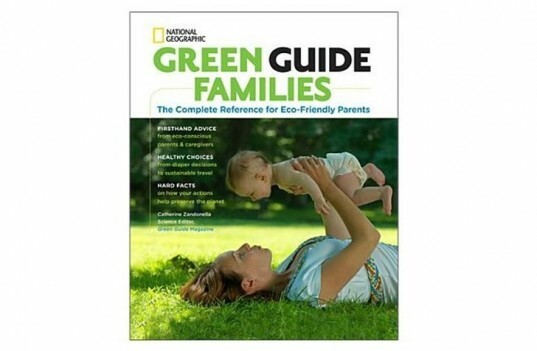 National Geographic’s Green Guide Families is the perfect green family starter book for parents who want to learn more about green living. If you only buy one green family book, this is the one to own, because it covers all the basics in an easy to digest manner. Each chapter is broken up into logical green steps and there are also quick takeaways like fast “Take Action” sections at the end of each chapter that cover all the key points and action steps in said chapter. There are also tons of cool pullouts including green definitions, green on a shoestring and other quick eco-facts and tips are scattered throughout the book. Bonus, this book walks you easily through the pre-baby years all the way to college, so it’s totally all-family members inclusive. Lastly, there’s an excellent resource section at the back of the book. Read a full review of this book. Now, it’s not as if you’re going to be able to easily teach a baby how to recycle or conserve energy or why organic food is best, but you can introduce even very young babies to the sights and sounds of the natural world through books. Early nature exposure is key if you want to raise a green child, and Listen, Listen, is a fun, nature-packed, sound-filled experience that can help. Listen, Listen examines the amazing and varied sounds of nature, from insects buzzing to birds chirping to leaves crunching and rustling. This book combines wonderful nature sounds with soothing rhythmic verse. The images are beautiful, iconic and include all the seasons of the year. There’s also an end section that includes fun hide and seek games for each season. Listen, Listen is from Barefoot Books and they offer many other cool nature minded books for babes including I Took the Moon for a Walk, Skip Through the Seasons, My Mama Earth and more — all featuring amazing images. 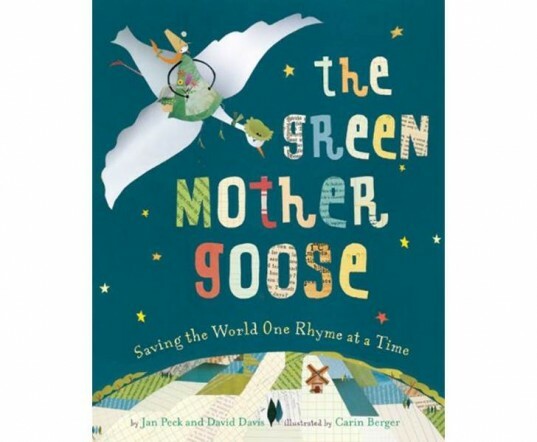 Mother Goose goes green in this clever adaptation: The Green Mother Goose: Saving the World One Rhyme at a Time. This playful and beautiful picture book invites tots to go green and have fun while doing it. The book puts fun spins on classics such as Old Mother Hubbard, who shops with cloth grocery bags; Old King Coal, who is working hard to keep our skies smoke-free; and Hickety, Pickety is now a cage-free hen; and Jack is a better citizen who tries to turn off the lights. Bonus: this eco-friendly book is printed on recycled paper with agri-based inks and all of the whimsical eco-friendly collage images are created from ticket stubs, newspapers, and other reused items. This is the easiest age group to find green books for. 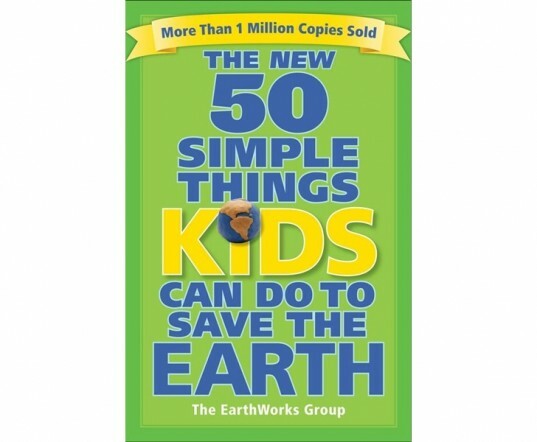 You have tons and tons of excellent choices, but The New 50 Simple Things Kids Can Do to Save the Earth is the gold standard when it comes to green books for elementary-age kids. The original sold over 1 million copies, and with good reason. Written by EarthWorks Group’s John Javna and his daughter, Sophie, this book offers up hundreds of ideas and facts that not only inform, but show kids how to take action to help save the planet. The two best things about this book is that one, it’s not dumbed down – i.e. the book assumes kids are smart and capable. Two, kids can use the tools offered mostly on their own, without parents having to step in and help. It’s extremely tough to find well-written eco-books for teens. Most, in my experience, read as if written for a much younger age group OR a much older age group — as if the authors perhaps think teens can’t read or think they’ll find long lists of facts super enthralling. It’s a problem. Additionally, almost every teen-specific eco-book I’ve seen is written with girls in mind, leaving boys out of the equation entirely. The above in mind, when it comes to teens, I suggest Ecoholic: Your Guide to the Most Environmentally Friendly Information, Products, and Services. Ecoholics isn’t written specifically for teens, but it’s teen-friendly and bonus, while it slants towards girls a little, it’s still boy-friendly. There’s tips about eco-clothing, body care, outdoor activities, home decor and advice about what sort of green products are best to buy. The book is formatted for extra easy browsing and has great pullout boxes of eco-definitions and tips, like body toxins to avoid or why to eat organic. Ecoholic won’t teach long-time tree huggers anything new, but for a teen just getting interested in green living, this is an excellent, easy-to-scan green primer filled with bite-sized green tips about every area of daily life. Many green books are great for everyone in your family, such as Celebrate Green! Creating Eco-Savvy Holidays, Celebrations and Traditions for the Whole Family. This wonderful eco-friendly family book is packed to the nines with ideas for lots of creative and fun green holiday celebrations year-round. There’s not a holiday that isn’t included. From Halloween to Earth Day to Cinco de Mayo to Father’s Day to to Kwanzaa and every little holiday in-between, this book will show you how to celebrate each event with perfect eco-flair. The focus is on how to produce low-cost eco events, so this green book works even for families on a budget. It’s designed well for easy browsing too, with sections split by season and each holiday coverage includes background of holiday, how-to celebrate said holiday, organic recipes, eco-crafts and gifts, related causes and more. Celebrate Green also covers other cherished celebrations like weddings, baby showers and birthdays. National Geographic's Green Guide Families is the perfect green family starter book for parents who want to learn more about green living. If you only buy one green family book, this is the one to own, because it covers all the basics in an easy to digest manner. Each chapter is broken up into logical green steps and there are also quick takeaways like fast “Take Action” sections at the end of each chapter that cover all the key points and action steps in said chapter. There are also tons of cool pullouts including green definitions, green on a shoestring and other quick eco-facts and tips are scattered throughout the book. Bonus, this book walks you easily through the pre-baby years all the way to college, so it's totally all-family members inclusive. Lastly, there's an excellent resource section at the back of the book. Read a full review of this book. Now, it's not as if you're going to be able to easily teach a baby how to recycle or conserve energy or why organic food is best, but you can introduce even very young babies to the sights and sounds of the natural world through books. Early nature exposure is key if you want to raise a green child, and Listen, Listen, is a fun, nature-packed, sound-filled experience that can help. Listen, Listen examines the amazing and varied sounds of nature, from insects buzzing to birds chirping to leaves crunching and rustling. This book combines wonderful nature sounds with soothing rhythmic verse. The images are beautiful, iconic and include all the seasons of the year. There's also an end section that includes fun hide and seek games for each season. 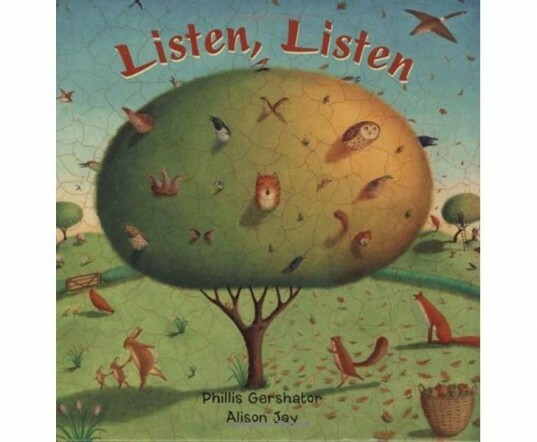 Listen, Listen is from Barefoot Books and they offer many other cool nature minded books for babes including I Took the Moon for a Walk, Skip Through the Seasons, My Mama Earth and more -- all featuring amazing images. This is the easiest age group to find green books for. You have tons and tons of excellent choices, but The New 50 Simple Things Kids Can Do to Save the Earth is the gold standard when it comes to green books for elementary-age kids. The original sold over 1 million copies, and with good reason. Written by EarthWorks Group's John Javna and his daughter, Sophie, this book offers up hundreds of ideas and facts that not only inform, but show kids how to take action to help save the planet. The two best things about this book is that one, it's not dumbed down - i.e. the book assumes kids are smart and capable. Two, kids can use the tools offered mostly on their own, without parents having to step in and help. It's extremely tough to find well-written eco-books for teens. Most, in my experience, read as if written for a much younger age group OR a much older age group -- as if the authors perhaps think teens can't read or think they'll find long lists of facts super enthralling. It's a problem. Additionally, almost every teen-specific eco-book I've seen is written with girls in mind, leaving boys out of the equation entirely. The above in mind, when it comes to teens, I suggest Ecoholic: Your Guide to the Most Environmentally Friendly Information, Products, and Services. Ecoholics isn't written specifically for teens, but it's teen-friendly and bonus, while it slants towards girls a little, it's still boy-friendly. There's tips about eco-clothing, body care, outdoor activities, home decor and advice about what sort of green products are best to buy. The book is formatted for extra easy browsing and has great pullout boxes of eco-definitions and tips, like body toxins to avoid or why to eat organic. 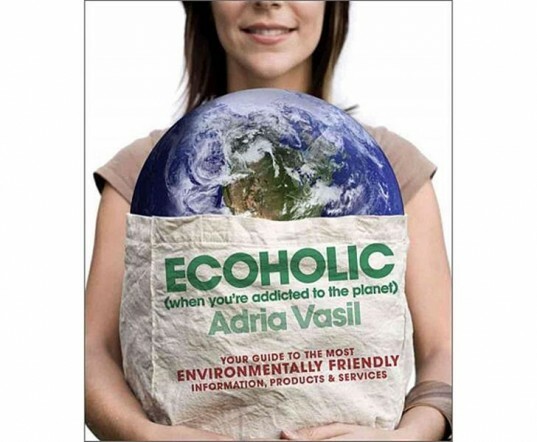 Ecoholic won't teach long-time tree huggers anything new, but for a teen just getting interested in green living, this is an excellent, easy-to-scan green primer filled with bite-sized green tips about every area of daily life. 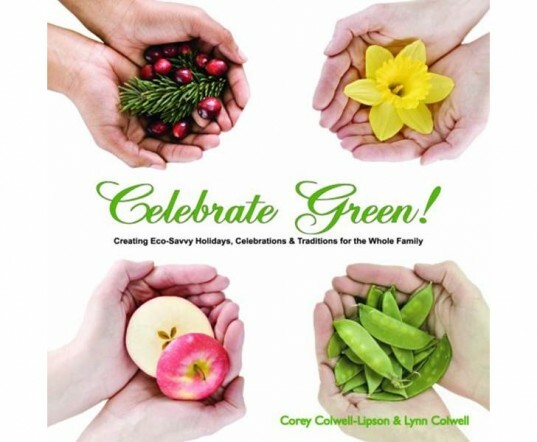 Many green books are great for everyone in your family, such as Celebrate Green! Creating Eco-Savvy Holidays, Celebrations and Traditions for the Whole Family. This wonderful eco-friendly family book is packed to the nines with ideas for lots of creative and fun green holiday celebrations year-round. There's not a holiday that isn't included. From Halloween to Earth Day to Cinco de Mayo to Father’s Day to to Kwanzaa and every little holiday in-between, this book will show you how to celebrate each event with perfect eco-flair. The focus is on how to produce low-cost eco events, so this green book works even for families on a budget. It's designed well for easy browsing too, with sections split by season and each holiday coverage includes background of holiday, how-to celebrate said holiday, organic recipes, eco-crafts and gifts, related causes and more. Celebrate Green also covers other cherished celebrations like weddings, baby showers and birthdays.